COASTAL LIVING Magazine Showhouse 2013. Smythe Park Daniel Island South Carolina Real Estate and Homes for Sale. 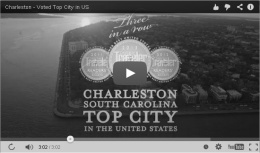 Another major media outlet chooses Charleston as a great place to call home. In the spring Kiawah Island hosted the HGTV Dream Home 2013, this time COASTAL LIVING Magazine Showhouse selects Daniel Island for 2013. Once again we've put all the details, pictures, links, local information, and buried content right here. We have also already answered the most ask questions about the 2013 Show house. Finally, using our advanced search you can search all Charleston real estate for sale including city, suburban, island, ocean and marsh, river, and deep water homes! Will there be a giveaway or drawing for the Coastal Living Showhouse? No. There is no entry form or winner. Where is Coastal Living Showhouse located and what is the address? It's located in the Smythe Park neighborhood at 1488 Wando View St. Daniel Island, SC. Is the Coastal Living Showhouse for sale? The home will be sold and is listed for $1,995,000. Who owns the Coastal Living Showhouse? It's currently owned by Max Crosby Construction. Can I visit and see the Coastal Living Showhouse? Yes, read on about tour info. For locals and those visiting, starting in June the Showhouse is open to the public for four months! Tickets are $15 each and can be purchased online or at the door. Google Maps - 1488 Wando View St. Daniel Island, SC 29492. This 5 bedroom, 4,500 Sq.Ft. house is inspired by Island architecture and historic seaside villages sits directly on scenic Wando River. The two level home also includes 5 1/2 bathrooms, a separate 2 car garage with carriage house, and a 500 Sq.Ft. walk-out terrace with views of the river! The home and property is estimated to be worth almost $2 million dollars! The home is built by Jamison Howard of Max Crosby Construction, designed by architect Suzanne Stern or Our Town Plans, decorated by Ginger Brewton Interiors. Daniel Island size, location, and planing make it true “island town”, where home owners and live, work, and play. It sits between the Cooper and Wando Rivers and is one of four non-barrier islands in Charleston. Others include; James Island, Johns Island, Wadmalaw Island. Learn more about Daniel Island Real Estate. 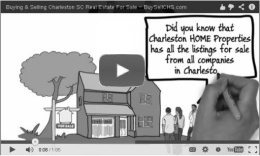 Search all Low Country Island Real Estate in Charleston here. Besides the inner islands Charleston has some of the most well known barrier islands on the US coast, they include; Isle of Palms, Wild Dunes - IOP, Sullivan's Island, Folly Beach, Dewees Island, Seabrook Island, and Kiawah Island . Each with its own identity and host of natural or developed amenities. Use our MAP Search or Advanced Search to find properties on your favorite island. We are a group of full service REALTORS serving all South Carolina Islands, cities and suburban neighborhoods. Our web site offers Free Unlimited Full Listings of ALL Charleston, Berkley, and Dorchester counties Homes, Condos, Town Homes, Land, & Investment Real Estate For Sale! 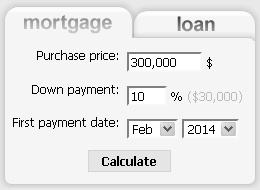 Here you can Find, Save, & Receive "PropertyAlerts", so you will never miss a property you like. Need help?...Just Contact Us and we'll set up a personal MLS IDX "Saved Search" and email alerts for you. 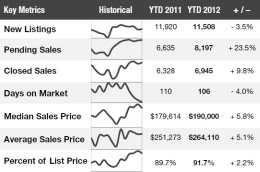 To receive automatic "PropertyAlerts" emails of new listings that match your criteria. Click Here. Put our real estate knowledge to work for you. There’s no cost until sold. Receive a no obligation free Comparative Market Analysis, discuss our services, and explain the selling process, Click Here. Start a Real Estate Conversation!